Donald Trump: Reimbursement for US military bases in rich countries abroad. Ted Cruz: Appeasement historically leads to more violence. Ed Gillespie: Emphasize American exceptionalism; a force for good in world. Mitt Romney: Use opportunity for regime change in North Korea. Steve Forbes: Taiwan: Unconditional US response defends against China. Ed Gillespie: Aggressively open markets for exports. Ted Cruz: Suspend Russia from G8 & withdraw from arms control treaties. Ed Gillespie: Condemn deep and dangerous defense-budget cuts. Ed Gillespie: Foolish to say that Iran is not a serious threat. Ed Gillespie: Victory against Islamic terrorism must be our national goal. 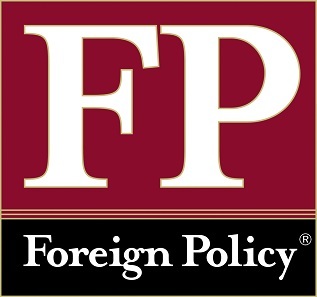 The above quotations are from Columns and news articles in Foreign Policy magazine.